Immortals is a 2011 American epic fantasy action film directed by Tarsem Singh and starring Henry Cavill, Freida Pinto, and Mickey Rourke. The film also stars Luke Evans, Steve Byers, Kellan Lutz, Joseph Morgan, Stephen Dorff, Daniel Sharman, Alan van Sprang, Isabel Lucas, Corey Sevier, and John Hurt. 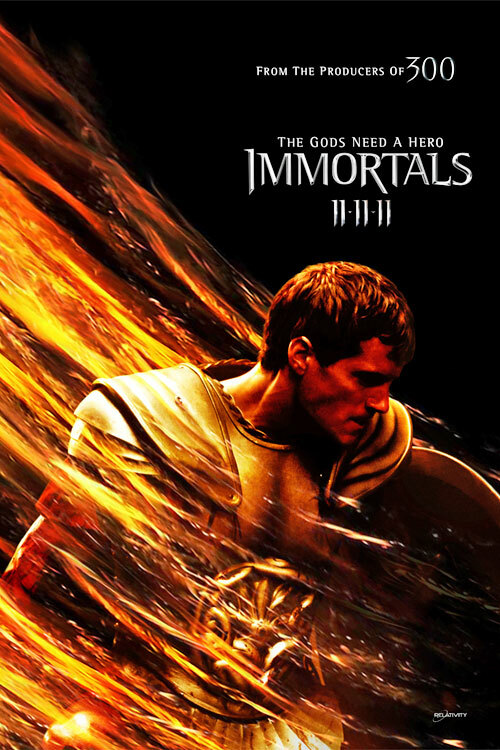 The film was previously named Dawn of War and War of the Gods before being officially named Immortals, and is loosely based on the Greek myths of Theseus, the Minotaur and the Titanomachy.